Webb’s are proud to sponsor Thomas and Katie Bradburne to compete in various show jumping events across the country. Both riders are keen to reach the highest possible level in both show jumping and racing. 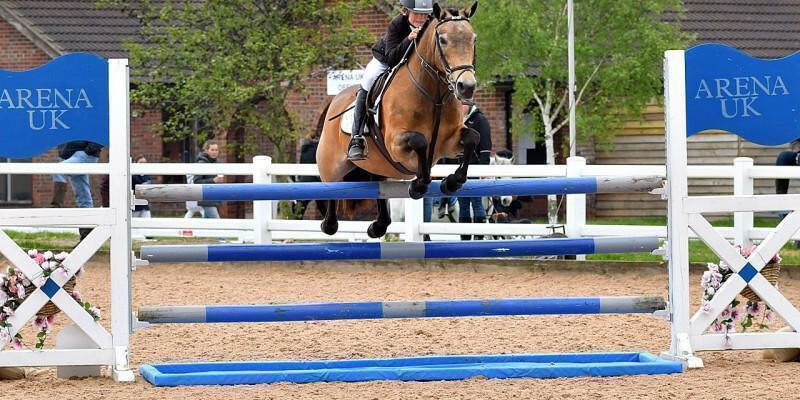 Both children take part in many show jumping competitions (affiliated to the British Show Jumping Association) always striving to qualify for the major finals in their categories. Thomas and Runaway Dolly won the Horse of the Year Show qualifier outright at the Welsh Home Pony Show on 1st August. Only 14 different riders across the country have qualified for this event, 24 ponies in all, some of the top juniors having more than one pony in the final. There were 8 qualifiers spread over the whole the UK with the top 3 ponies in each qualifier taking a place in this prestigious class. Katie won the 128cm show jumping class at the National Championships on Webbswood Cappagh Misty. Katie had a brilliant Scope Festival with Cappagh Misty winning 2 major classes and a finishing 2nd in another. The highlight being the 10 and under Tiny Tots Supreme Championship. Thomas has a racing pony called Push the Button and won 6 races between Feb 2017 and May 2017 , also finishing 2nd 3 times. Push the button won the race at Wolverhampton on 17 sept. It wasn’t a race that was enjoyed by his mother as one stirrup leather came off as they started and Thomas had to ride the whole 1 mile race - with one leg dangling like John Wane and the other like up short like the jockey he was trying to be. Push the button also went on to win the 138cm open race at Lingfield on 23rd October thankfully all tack remaining in the right place this time. From Jan 2018 - Thomas is competing in the smarter Charles Owen Racecourse Series, which as the name suggests take part at various racecourses on traditional race days.